What Type of Pain Does Acupuncture Relieve? Acupuncture is widely known for its effectiveness in the treatment of pain-related conditions. Its unique role in reducing pain in patients is one of the main reasons it has become so popular around the world. What can Acupuncture at the Riverside Offer Me? Firstly, The Riverside in Nottingham offer a discounted treatment cost when using acupuncture for pain management. The aim is to provide a wider and affordable service to you and the local community. Riverside acupuncturist Sarah Stanley has a BSC (Hons), and is fully qualified in Traditional Chinese Medicine and Acupuncture. Furthermore, Sarah is a member of the British Acupuncture Council and already runs her own successful pain management clinic in Lincoln. Sarah’s belief is that everyone should have access to affordable pain management treatments, and for that reason, she is now offering this service to the Nottingham area. Sarah treats many people who have acupuncture alongside their pain relief medication, and others who choose to mange their condition with acupuncture alone. Sarah has a special interest in acupuncture to help manage the side-effects of medication. Manage these adverse effects can work alongside managing the pain. Traditional Chinese acupuncture involves the insertion of extremely fine needles into the skin at specific “acupoints.” This may relieve pain by releasing endorphins, the body’s natural pain-killing chemicals, and by affecting the part of the brain that governs serotonin, a brain chemical involved with mood (NHS UK, 2016). What to Expect in a Pain Management Treatment Session? First of all, the treatment sessions are very gentle, non-invasive and relaxing and the treatments are suitable for all ages and conditions. Your first visit will last an hour and consists of an in-depth consultation followed by an acupuncture treatment. Follow up appointment will last 30 minutes. Time in between each appointment will depend on the nature of your pain and your budget. It may not always be necessary to have a 60-minute appointment to manage your pain. We also understand that you may have a small budget and are unable to afford lengthy treatments. During follow-up treatments you may also have additional therapies such as Cupping Therapy, Gua sha or Electro acupuncture when relevant and this is included in the treatment cost. What is the Cost of the Acupuncture Treatments? 30 minute follow-up treatment: £25. Usually to effectively manage pain you probably need 2-3 treatments close together, such one treatment a week or one treatment every two weeks. The aim of these treatment sessions is to get your pain to a manageable level, so you only need acupuncture every 4-6 weeks to keep the benefits of the treatment going so you can manage your day-to-day lives. You can telephone the Riverside direct on 0115 9864 990 or Contact Us online. If you have a more complex health condition, we suggest that you have a free 15-minute telephone consultation with us. If you’d like to arrange this, please telephone the Rverside on 0115 9864 990. 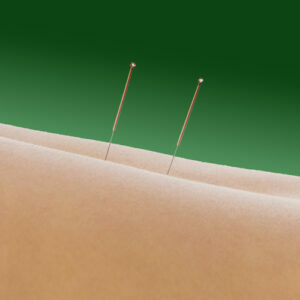 The BMJ (British Medical Journal) debates whether doctors should recommend acupuncture for pain. Here a debate about this topic from the point of view of a patient receiving acupuncture and from the medical director of the British acupuncture society and a GP in north London.